JPMorgan Chase CEO Jamie Dimon will be paid $20 million for 2013, the bank said Friday. JPMorgan Chase boss Jamie Dimon got a 74% pay hike for last year, even though the bank was forced to pay billions in fines and settlements last year. 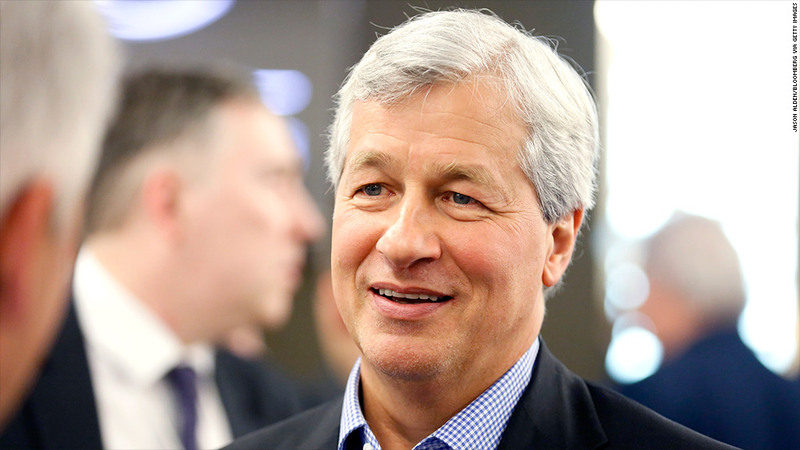 In a government filing Friday, JPMorgan Chase (JPM) said Dimon would receive $18.5 million worth of restricted stock that will vest over the next three years as his 2013 bonus. That's up from a $10 million bonus for 2012. His $1.5 million base salary remains unchanged. The bank said its board considered "several key factors." Among them: JPMorgan's "sustained long-term performance" and its efforts to put its legal problems behind it. Dimon, CEO and chairman, had his total 2012 pay slashed by about half to $11.5 million after JPMorgan suffered estimated trading loss of nearly $6 billion during the year attributed to a London trader known as the London Whale. During 2013 the bank agreed to pay $1 billion in fines to U.S. and UK regulators for lack of proper oversight of its traders related to that loss. But that was only a fraction the fines and legal expenses the bank shelled out during the year for a variety of transgressions. SNL Financial estimates that total payouts by the bank came to $18.6 billion for 2013 alone, as well as more than $1 billion in attorney costs during the year. Provisions for those payments forced the bank to report a loss in the third quarter, the first of Dimon's tenure as CEO. For the full year, the bank reported net income of $17.9 billion, down 16% from the previous year. But shares increased 33% during the year. Dimon had been the top paid bank CEO in 2011 before the problems of the last two years. The decision to raise his pay was first reported by the New York Times ahead of the filing.